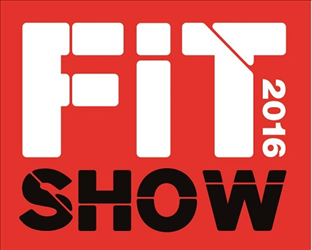 The FIT Show has been an unqualified success in the two outings enjoyed since its launch in 2013. However, any successful exhibition depends upon both the exhibitors and visitors to make it work. We therefore examine the sort of relationship that the FIT Show has helped to forge when both sides come together. The Exhibitor – Last year’s FIT Show was the first for IG Doors and was specifically chosen as the launch pad for their brand new composite door range – Truedor. While Truedor is IG Doors’ first dedicated product for the trade sector, manufacturing composite doors has been the mainstay of the company’s business for more than 30 years. Now manufacturing over 2,000 door sets per week at its Cwmbran base, IG Doors has a well-earned place amongst the biggest producers in the UK. Truedor was designed specifically for the trade sector – a different product from the company’s social housing and new-build offerings – and it is backed by significant trade and consumer sector marketing campaigns. Backed by TV architect George Clarke, Truedor has brought a touch of glamour to composite doors, something that cannot hurt the sector overall. The Visitor – Bradley Scott Windows is based in Tamworth, Staffordshire from where the company has been supplying homes in the area with windows, doors and conservatories since 1999. Run by football fanatic Andy Farrington, a great supporter of local team, Tamworth and England, there is considerable evidence of Andy’s footie-fanaticism throughout the company’s showroom and premises, which the company moved into last year. The new showroom, offices and yard for Bradley Scott had been an ambition of Andy’s for a number of years. Occupied by another home improvement company, when that business failed, Andy rushed to get the site. However, unresolved issues relating to ownership of the site and other complications delayed Andy’s aspirations for around two years whilst progressively each obstacle was overcome and the site became theirs. Many others would have given up. Andy depends upon his reputation for attracting local homeowners and his website which allows a walk-through of the company’s premises. Bradley Scott became a Truedor stockist immediately following Andy’s visit to The FIT Show in 2014 and his visit to the Truedor stand played a crucial part in forming the style and content of the new showroom. The Partnership – Andy and IG Doors’ Sales & Marketing Manager Richard Kirman had in fact known each other for some time, with Richard living in Tamworth and regularly driving past the new HQ. Andy described the preparations that he normally makes when attending key exhibitions such as The Fit Show: “I went to The Fit Show with three or four companies that I had researched and wanted to see, but I also picked up more as I walked around. It was especially important to me last year as I was finalising plans for the new showroom and to make the most of the new site. “I used to go to Glassex but I didn’t enjoy it as it seemed to be more for extruders and fabricators. I feel that The FIT Show is more about me as a retailer and installer so I take a number of my people along to see and try everything there and then I have a day on my own. It’s great for our fitters to come along. They are our reps and are very important to us. “We did not go to The FIT Show to show composite doors. We wanted to show retail installers how we could work with them to sell doors. We had such a range of people visiting our stand,” said Richard. The relationship has burgeoned since, explained Richard: “Andy has become a centre of excellence for Truedor. We pass sales leads out to our trusted retailers and Andy is excellent at following these up. We even pass leads out to him when we don’t have an appointed installer, in the knowledge that he will deal with them professionally.